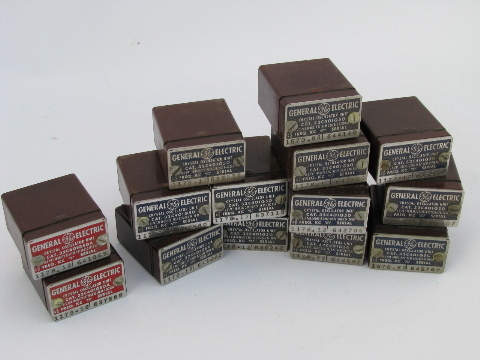 Lot of about 15 vintage General Electric crystal oscillator units with bakelite bodies. 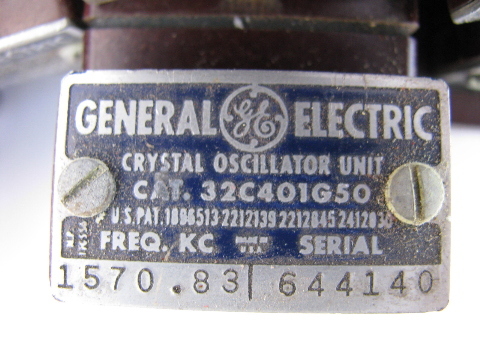 Most of these radio crystals are marked for "Freq. KC (Kilocycles?) of 1178.12. We&apos;ve been told that was / is? a band used for airplanes, pilots and aviation beacons (but are not sure). 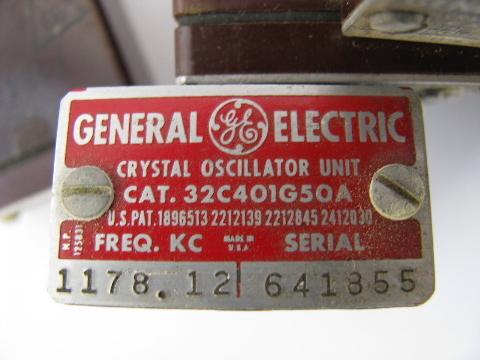 There are about 11 of these crystal oscillators that are marked "General Electric Crystal Oscillator Unit - Cat. 32C401G50" and they carry a US patent number from 1946. They are marked for a frequency of 1178.12 and are also stamped with "7484684-1". 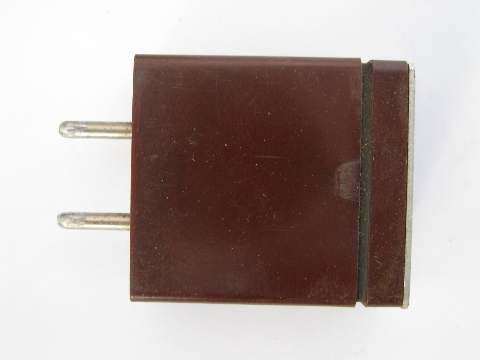 There are also two with the same catalog number on the label plate and a frequency of 1570.83 and are stamped with "K-7131110-P1" and two with red label plates and catalog number "32C401G50A" and frequency "1178.12". We haven&apos;t tested these and are selling them as is.